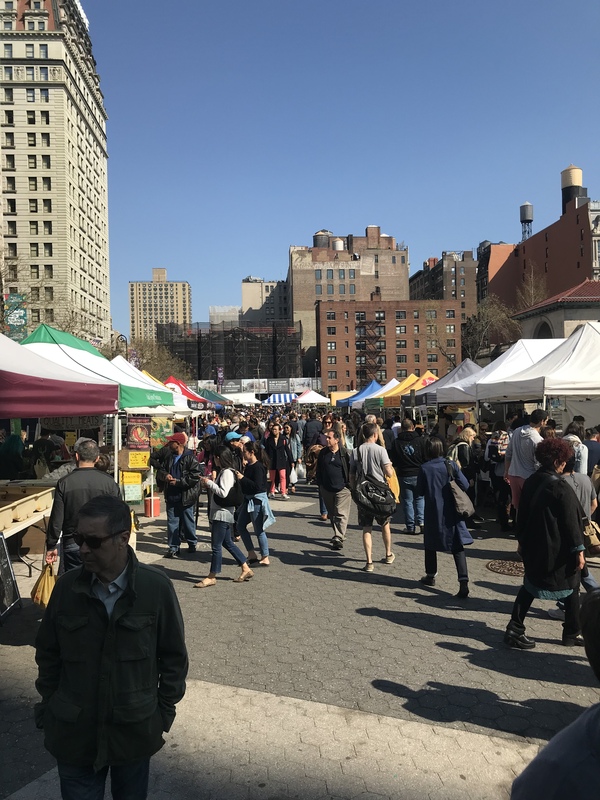 Created in 1976 to provide local farmers with a means to sell fresh produce and attract businesses back to the downtown area, Union Square Greenmarket is now at the center of a bustling commercial district. There are plenty of markets for the home cook to choose from in New York City. Few provide city dwellers more options of farm fresh produce, meats and seafood than the Union Square Greenmarket. I love wandering around the stalls discovering new and different things. You can go here without a plan and leave with the ingredients for some amazing meals. Sampling at Taconic distillery booth. Union Square Greenmarket is located on the North and West sides of Union Square Park (North of 14th Street to 17th St between Broadway and Union Square West). Market Hours: 8:00 a.m – 6:00 p.m. For more info- Union Square Greenmarket Info. Union Square Greenmarket Vendors- an updated list of Union Square producers in attendance on a given market day. This list is updated by market staff every market day by 8am. List is subject to change.